In 1866 Oliver Winchester introduced a legendary brand to the world that has extended for 150 years. In celebration of its 150th anniversary, Winchester Ammunition produced five custom-built, cartridge-firearm boards for a commemorative rifle collection – and there’s only one left! The Winchester Model 1866 “Yellow Boy” was manufactured in 1871 and is a 3rd model rifle. This 1 of 5 exclusive Winchester framed cartridge and firearm collectible features historic ammunition cartridges, nostalgic packaging and is embellished with the Winchester 150th anniversary medallion. This stunning piece is currently being auctioned and will be awarded to the highest bidder. Bid on it today and make it yours! 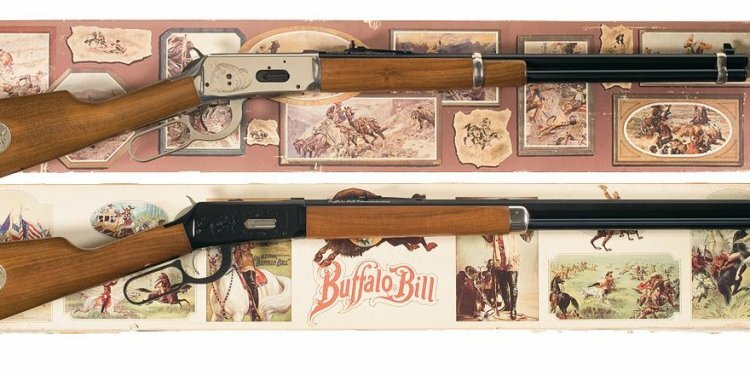 To date, four Winchester 150th anniversary bullet boards have achieved more than $100, 000 in 2016 with bids ranging from $6, 500 to over $55, 000. The Winchester Model 1866 bullet board is the most valued of the five custom built pieces and was purposely made available as the final commemorative piece of art to round out the 150th anniversary celebration.